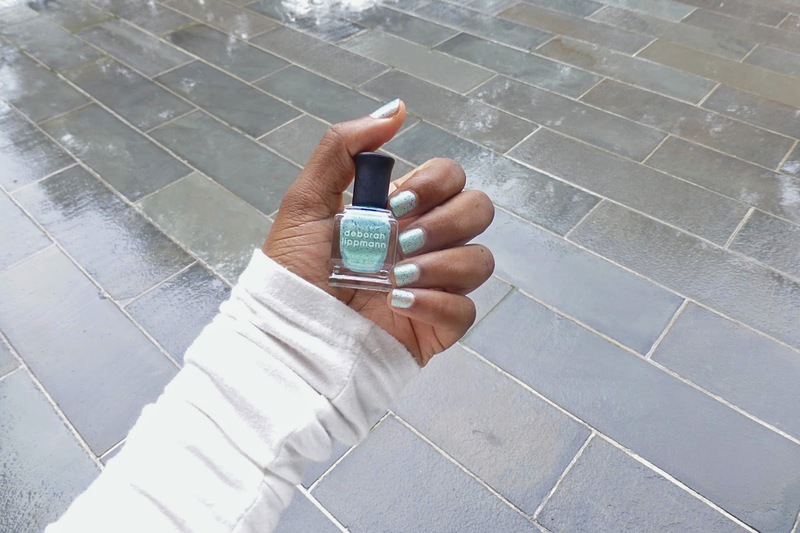 THIS is what Mermaid's Dreams are really made of...sea foam-metallic-blue-tealish-glittery realness, thank you Deborah Lippmann! Remember my Summer Nail Colors post...I may have done that too early! This might be a permanent add to my small collection. The other day, I "ended" up at Sephora and kind of bought their SUMMERSTASH kit. Split it with a friend! Glitter nail polish is a pain and a half to take off which is why I do not own too many but when I saw this color, I had to get it despite all glitter. So whimsical and fun, but not too fun that you can wear it to work without looking like a seven year old girl wanting to play princess. It applies very well, a little gritty but not too overwhelming, after all it looks like fairy dust. The color payoff is amazing. 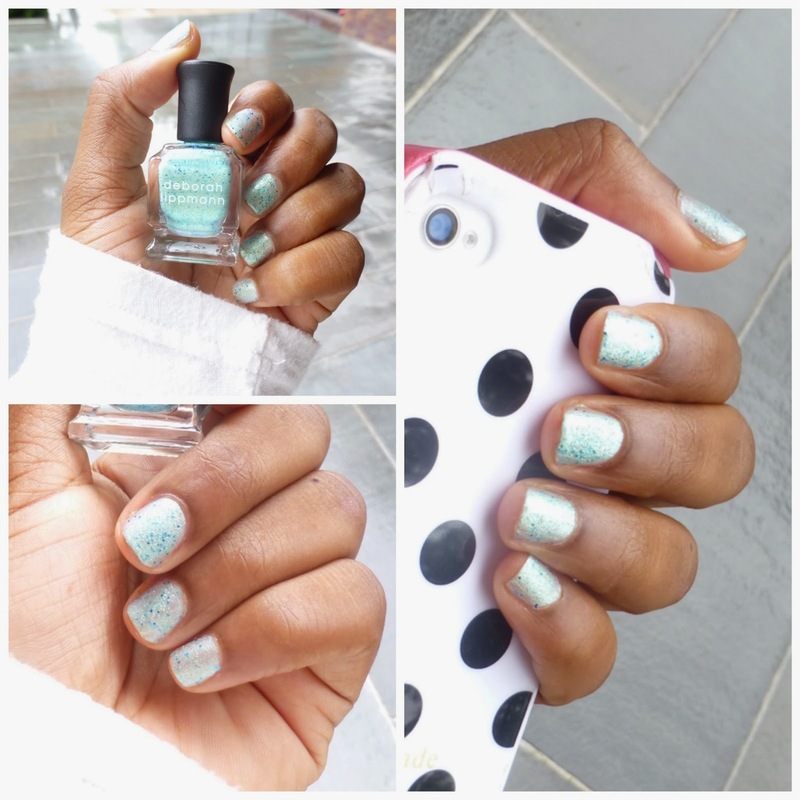 I am kind of obsessed, and if you buy one polish for the summer...THIS is it! Everywhere you can find it. It's THAT good!